Members of the genus Calochortus, more commonly known as mariposa lilies, are often considered overlooked gems of forested and grassland ecosystems. These diminutive lilies are found along the North American Pacific coast, from Southern Canada to Central America. Species can vary greatly in both appearance and habit. 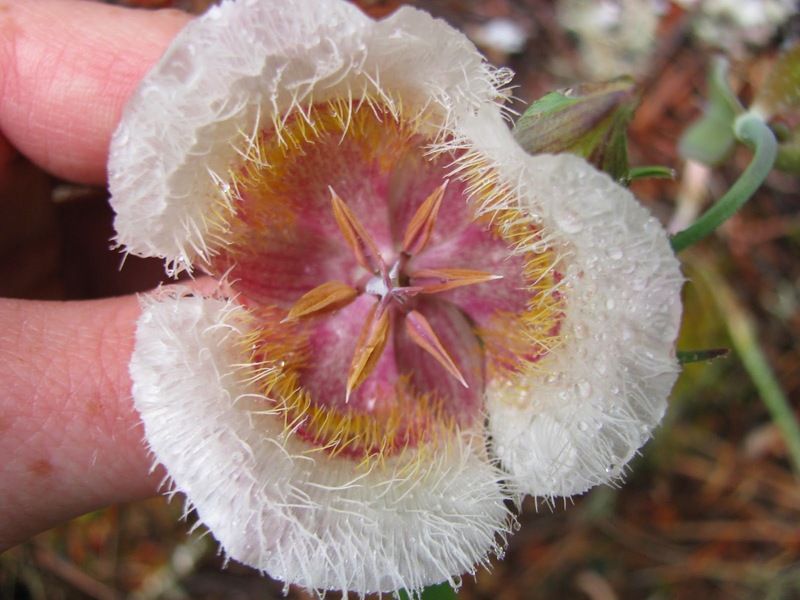 Calochortus coxii, also known as Cox's or Crinite (hairy) mariposa lily, is endemic to a 10 mile serpentine ridge line in Douglas County, Oregon. No more than 30 cm tall, this lily is white with pink and lavender striping near the base. The lily's inside appears to be yellow due to the yellow and white crinite hairs which line the inside of the petals and give this flower its name. 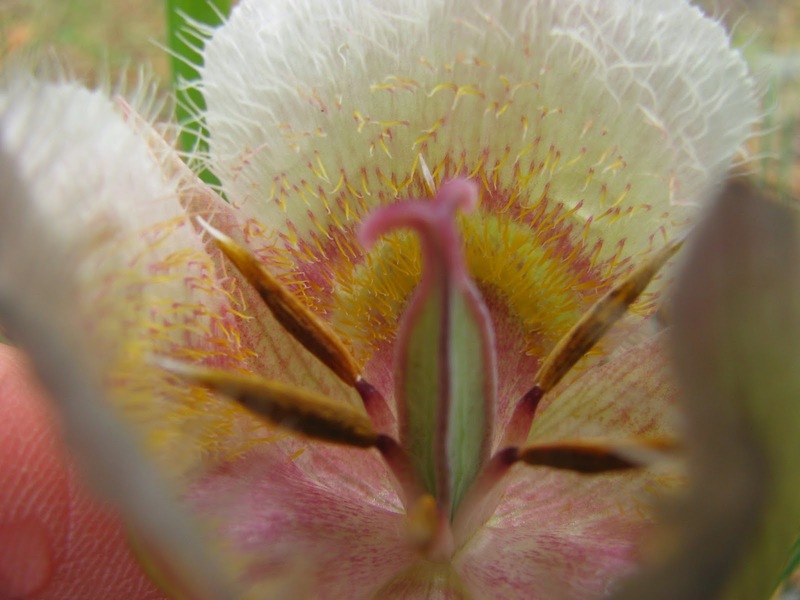 Calochortus coxii has been listed as an endangered species by the state of Oregon, a Species of Concern by the Fish and Wildlife Service, and is a Bureau Sensitive Species by the Bureau of Land Management. This plant remains federally listed as a "Species of Concern," which excludes it from some protective measures ensured by the Endangered Species Act of 1973. Through existing policies created by the state and BLM, the lily has received some protection from further habitat loss on public lands. However, this protection is superseded by federal regulations which allow exploratory mining operations and development. Calochorus coxii is threatened by various aspects of human land development. Canopy encroachment due to fire suppression, noxious weed invasion, logging, land development, and grazing have all diminished available C. coxii habitat. A proposed plan to construct a Liquefied Natural Gas (LNG) pipeline through Bilger Ridge, one of the largest remaining populations, could further impact and fragment remaining habitat of this rare endemic. While our studies take place on public lands, cooperation and collaboration with local private landowners has been vital to the success of our monitoring. Through the years, the Institute has created relationships with land owners adjacent to our study sites. Our mutual respect and concern for the land has brought us together. One such local ranching resident fondly refers to us as "Earth Babies". Through these friendships we have learned a little bit more about the area and the concerns of local residents; some are worried about potential gas pipeline construction through or under their property. Some residents have also taken an interest in our study and have learned to identify the C. coxii on their own property. With any luck, we might be able to prove there's a little Earth Baby in all of us.